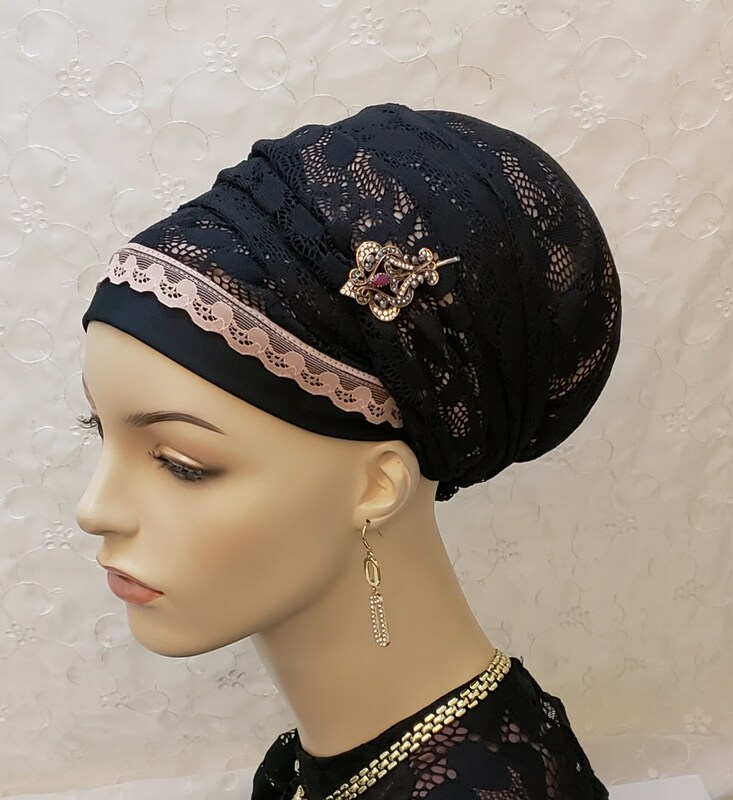 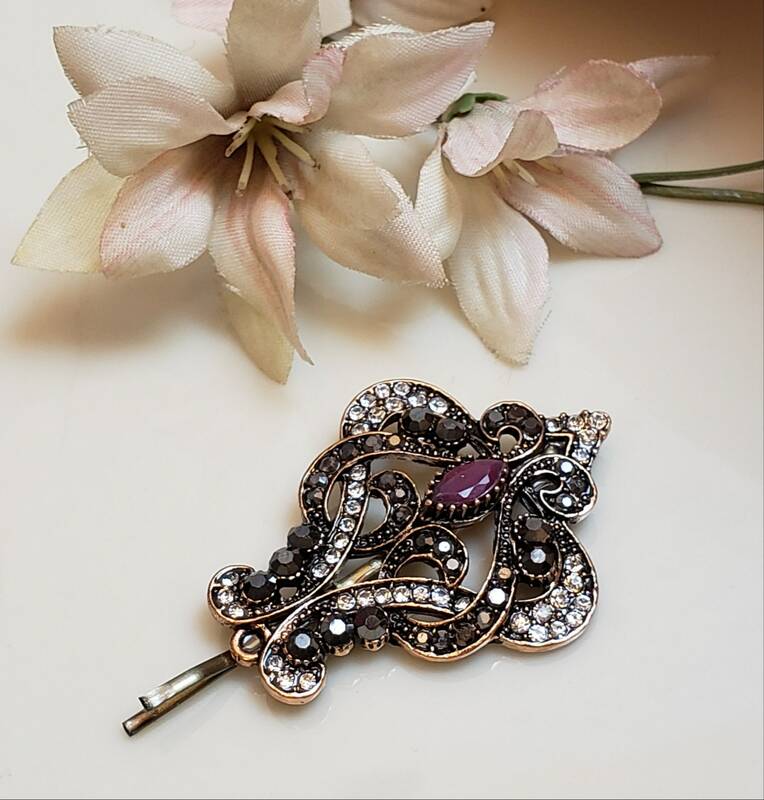 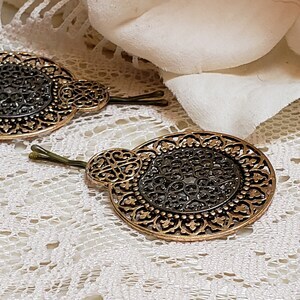 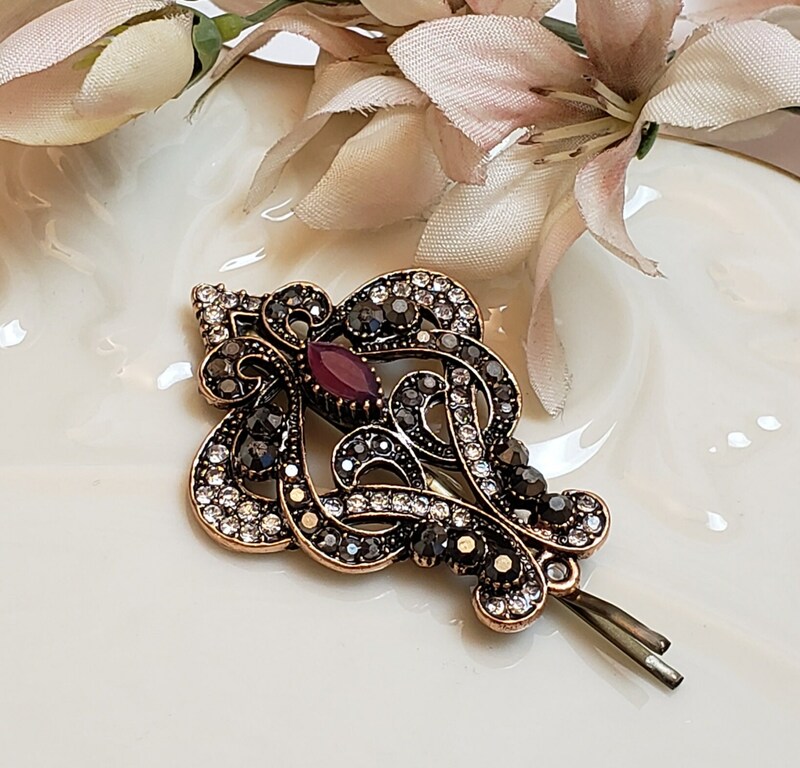 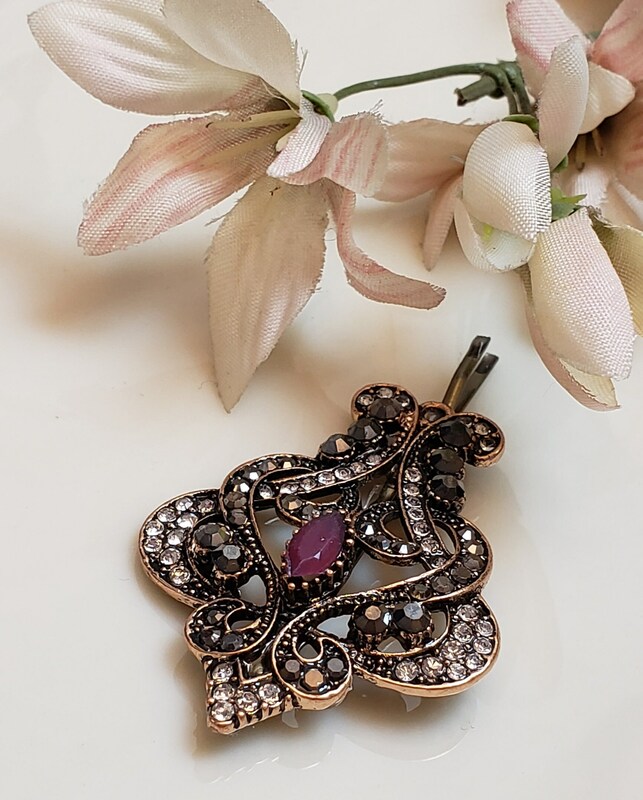 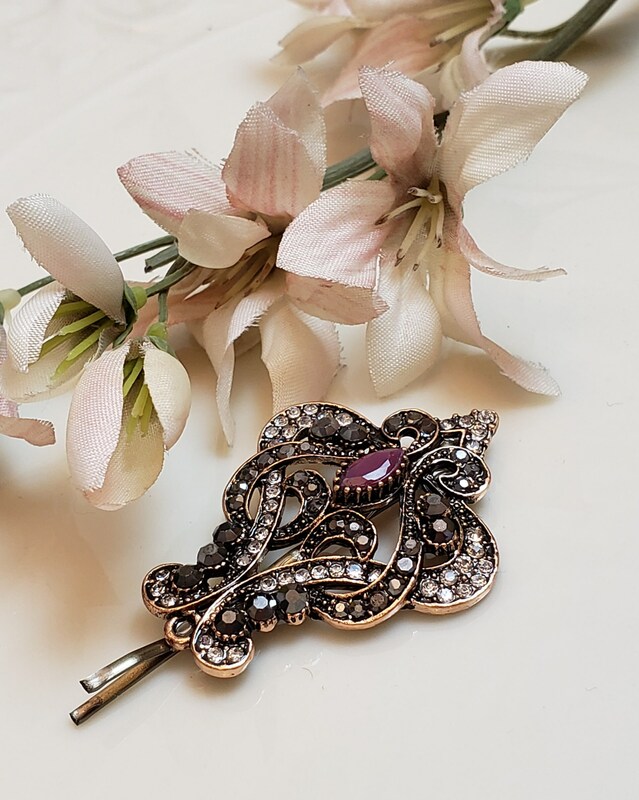 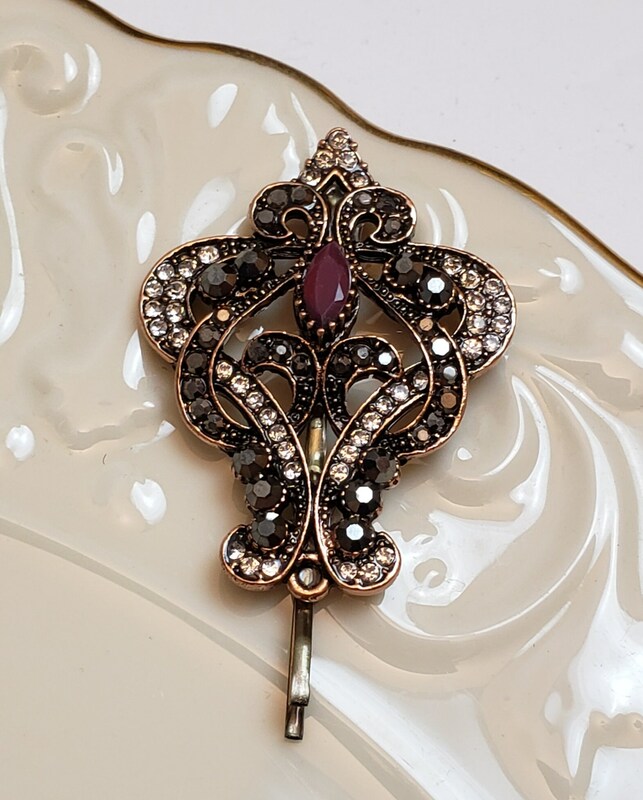 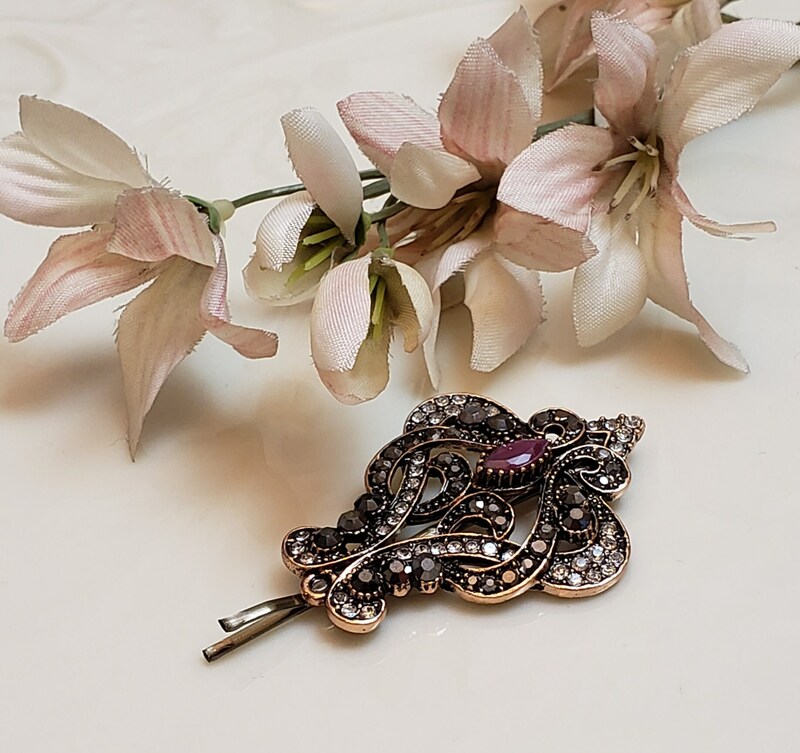 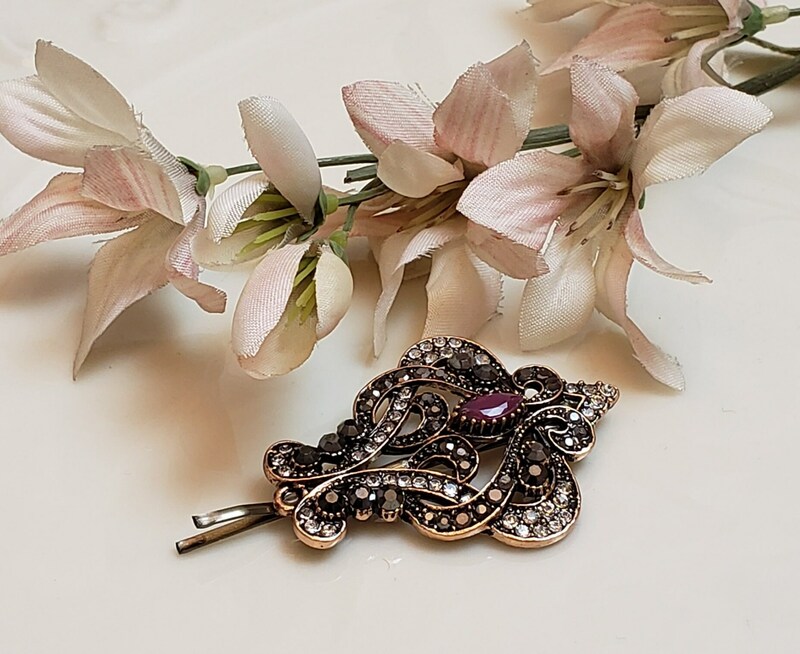 Beautiful vintage style tichel and hair pin with swirling rows of clear and dark diamond stones and a lovely dark red accent. 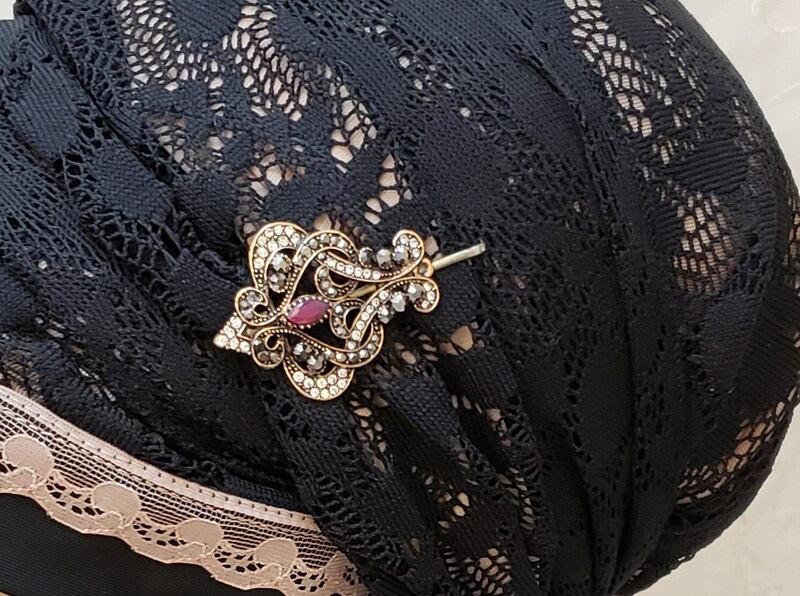 Adding a tichel pin adds a beautiful touch and upgrades your look in seconds! 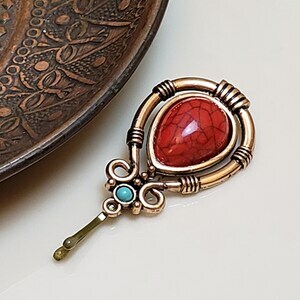 Decoration measurement: 1-3/4" x 1-3/8"